Elect to refund or rollover your contributions. Leave your contributions and interest in your account and receive a retirement benefit as soon as you meet the minimum retirement eligibility requirements. View important information about leaving employment on Refunds & Reciprocity. If you're moving from one CalPERS-covered employer to another, you may not withdraw your retirement contributions. You must permanently terminate your CalPERS membership to receive a return of retirement contributions. For more information about your rights and responsibilities, read When You Change Retirement Systems (PUB 16) (PDF). 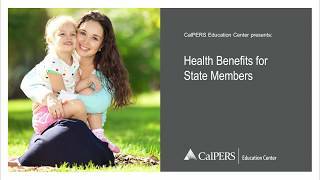 Watch our CalPERS Members: Early Career Basics video to learn more about leaving your employer. You can find additional resources by visiting Member Education. If you leave CalPERS employment for reasons other than retirement, you're covered until the first day of the second month following the last date you were employed. This is subject to you having enough earnings to cover your share of the health premium. If not, you may be eligible to continue health coverage under COBRA. If you elect to cancel your coverage before you leave your job, you will not be eligible for COBRA. Contact your health benefits officer for more information. 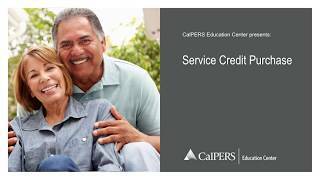 If your monthly premiums were paid as a payroll deduction, contact CalPERS Long-Term Care at (800) 982-1775 to see what payment options are available. If you're a deferred compensation plan participant, verify that your employer has your correct mailing address before you leave CalPERS membership. This will ensure you receive communications and statements. When you leave CalPERS, you have several distribution options that may apply to your retirement savings goal. Taking a distribution may not be required until age 70 ½ for the required minimum distribution.